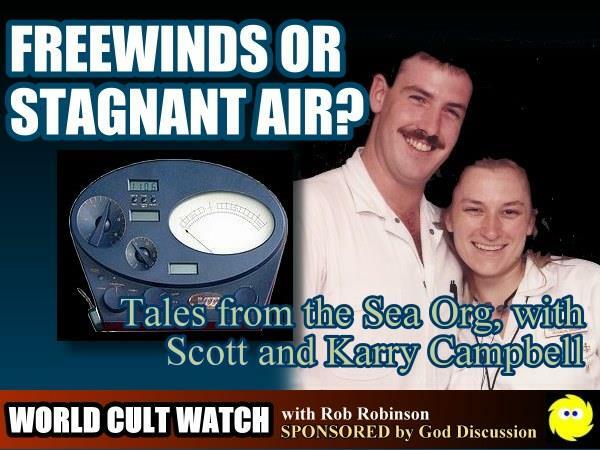 Continuing with their gripping story told on last week’s World Cult Watch podcast, ex-Sea Org members Scott and Karry Campbell return to discuss their experiences with Scientology (see the link for Scott and Karry’s respective backgrounds). 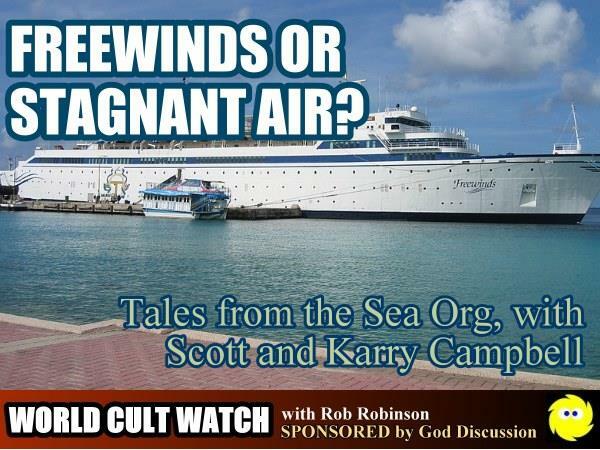 Scott and Karry served on the Freewinds, a cruise ship operated by the Church of Scientology where passengers received exclusive training for the highest level of Scientology. Scott was “audited” by Scientology auditors (counselors) to the point of mental and physical breakdown. 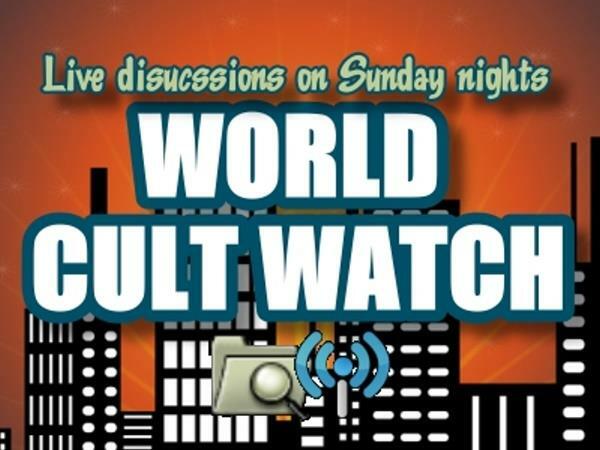 He was placed in a cabin in the New Mexico desert for a Scientology “therapy” called the Introspection Rundown – the same process that reportedly lead to the death of Lisa McPherson on December 5, 1995, in Clearwater, Florida. 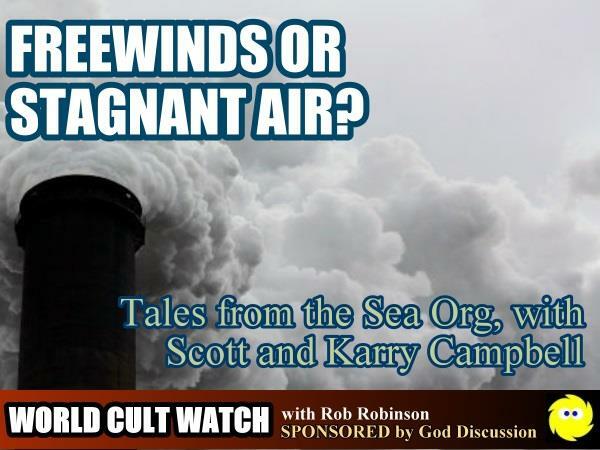 Scott and Karry will also share what they have been doing since leaving. 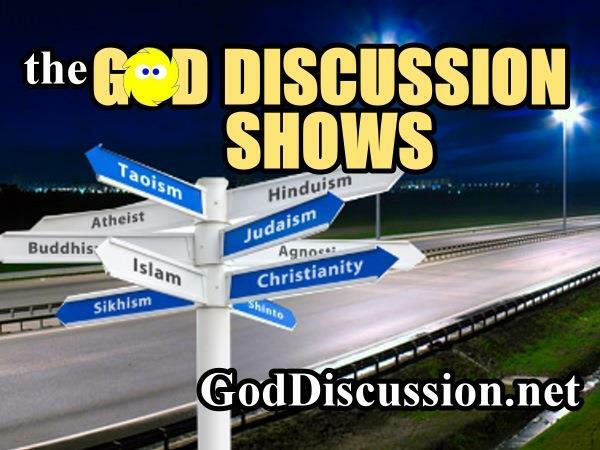 They welcome questions during the show and will do their best to provide insight and answers.